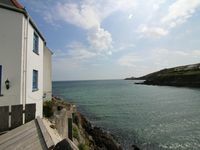 Property 1: Holiday cottage near the sea. Property 4: Private decking area & Central location within 5 min walk of town. Property 25: Bird's Nest is a Fisherman's Cottage in Looe seconds from beach. 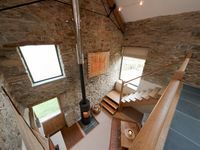 Property 32: Immaculate and cosy, in a perfect location to explore Cornwall. Property 33: Cottage hideaway with scenic views. Hot tub. Eco-friendly. Property 34: The Bailiff's House - Perfect for multiple dogs and their family. Property 40: Beautiful, spacious homely property, Nr Padstow with lovely gardens & parking. Property 44: Pet friendly Character Cottage, village setting; walks, short drive to coast. Property 50: 2 Bedroom Flat Above An Award Winning Cafe. Spotlessly clean, perfectly positioned, fully equipped &amp; a wonderful personal welcome from the owner. Far exceeded my expectations. I'll be back! Our week's stay couldn't have been nicer - perfect location, hosts and lodgings. We explored Cornwall daily, then returned &quot; home&quot; to warmth, quiet and comfort.